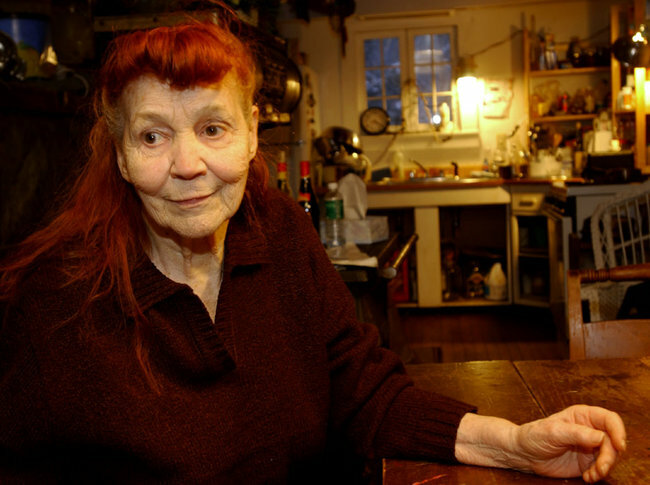 The American poet Ruth Stone, who only received wide recognition for her work in her late 80s, has died, aged 96. She was 87 when she received the National Book Award for her collection In the Next Galaxy, and was still writing extraordinary poetry well into her 90s. Her acclaimed retrospective, What Love Comes To: New & Selected Poems, followed in 2008 from Copper Canyon Press. The UK edition published by Bloodaxe Books in 2009 won her many admirers in Britain and was a Poetry Book Society Recommendation. Born in Roanoke, Virginia in 1915, Ruth Stone lived in rural Vermont for much of her life. 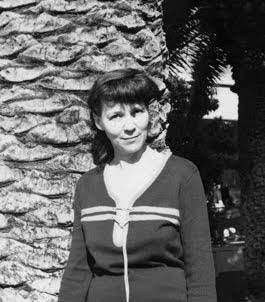 In 1959, after her husband committed suicide – during a stay in London – she had to raise three daughters alone, all the time writing what she called her ‘love poems, all written to a dead man’ who forced her to ‘reside in limbo’ with her daughters. For 20 years she travelled the US, teaching creative writing at many universities. A greatly loved teacher, she was still working into her 80s. 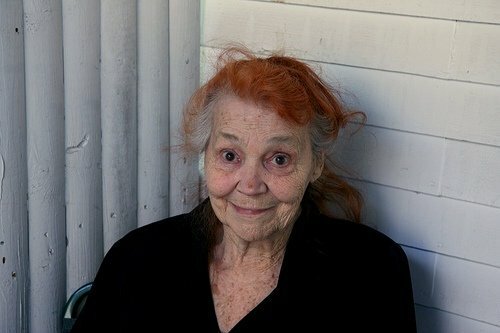 She has won many awards and honours, including the National Book Award, the National Book Critics Circle Award, the Eric Mathieu King Award from the Academy of American Poets, a Whiting Award (with which she bought plumbing for her house), two Guggenheim Fellowships (one of which roofed the house), the Delmore Schwartz Award, the Cerf Lifetime Achievement Award from the state of Vermont, and the Shelley Memorial Award. 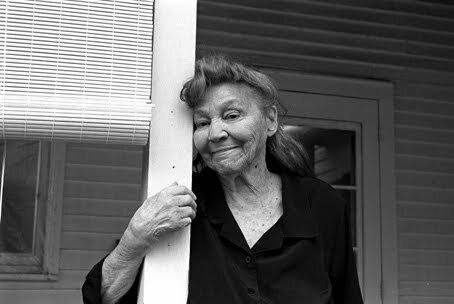 Ruth Stone once said, ‘I decided very early on not to write like other people.’ What Love Comes To shows the fruits of this resolve in the lifetime’s work of a true American original. This comprehensive selection includes early formal lyrics, fierce feminist and political poems, and meditations on her husband’s suicide, on love, loss, blindness and ageing. What Love Comes To opens up her own particular world of serious laughter; of uncertainty and insight; of mystery and acceptance. Ruth Stone’s poems are mysterious, hilarious, powerful. They are understandable, often with a very clear surface, but not simple – their intelligence is crackling and complex… She is a poet of great humor – mockery even – and a bold eye, not obedient. There is also disrespect in her poems, a taken freedom, that feels to me like a strength of the disenfranchised. 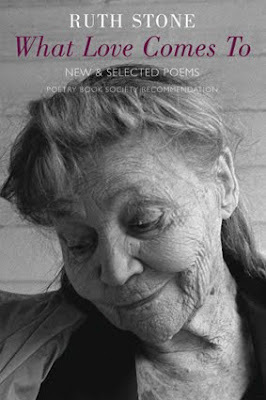 Ruth Stone’s poems, in their originality and radiance, their intelligence and music and intense personal politics, shine in their place within her generation, among the pioneering women (Bishop, Brooks, Rukeyser)… Ruth Stone’s poems are the food the spirit craves. My mother read poetry aloud when she was nursing me. She loved Tennyson deeply. She taught me all those poems by heart, so by the time I was two I knew many poems. What I absorbed from her was both a cadence of language and a music of poetry and patterns. Later on, when I was able, I wrote all these patterns of English poetry. I started reading when I was three, and I’ve read all kinds of books all my life: a lot on science, nature and the universe. Women who love to write poetry are the hagfish of the world. We eat everything. We eat the language. We eat experience. We eat other people’s poems. I wrote my first poem without knowing I’d done it – and found that poems came with this mysterious feeling, a kind of peculiar ecstasy. I’d feel and hear a poem coming from a long way off, like a thunderous train of air. I’d feel it physically. I’d run like hell to the house, blindly groping for pencil and paper. And then the poem would write itself. I’d write it down from the inside out. The thing knew itself already. There were other times when I’d almost miss it, feeling it pass through me just as I was grabbing the pencil, but then I’d catch it by its tail and pull it backwards into my body. Then the poem came out backwards and I’d have to turn it round. My father was a musician and played the drums all the time, so I learned a lot of rhythms just through my ear. Rhyme is automatic with me. I use a lot of internal rhyme. It’s all in my ear, my own music. People are always talking to me about my sense of form but I think it’s just built in. It’s fun and challenging to work with form. It’s a catalyst, it zips up your adrenaline. I don’t know at what point I became more in control over what was so spontaneous, an uncontrollable process. When I was younger there was a kind of singing in all my poetry, but after Walter died, that younger singing was subdued, not harsh enough. Of course I still have a lot of inner rhyme. But I needed to find a different way to write. Life altered me. Experience and suffering altered me. Having to endure and be strong for my daughters altered me. I couldn’t cry, but I didn’t talk for a year either. I couldn’t even stand up straight, I shuffled: ‘I shuffled and snuffled and whined for you’ [‘The Tree’]. I couldn’t live anywhere except in some sort of dreamlike state in which it seemed as though he’d never left me. And also the past kept intervening, and then it was as though there was no present, but only the past. And that kept going for a long long time. Collaged by Neil Astley from interviews by Ruth Stone with J.F. Battaglia, Robert Bradley, Elizabeth Gilbert, Sandra M. Gilbert and Mary Ann Wehler. A shorter version of this piece was published by the Poetry Book Society in the PBS Bulletin in 2009. Frances Leviston: Guardian review of What Love Comes To. Carol Rumens: writing on the Guardian's Poem of the Week, Ruth Stone's 'Things I Say to Myself While Hanging Laundry', quoted with the article. Under the apple trees, sweet rub-a-dub. The bees came round their heads, the wrens made talk. Tossed back their braids and wiped their aprons wet. Buzzed at his big brown eyes and bullish head. Brown gingham, pink, and skirts of Alice blue. Her rump was like a dancing girl’s. She pulled the grass and shook the flies. A woman’s patient stare that grieves. She hid her nakedness in leaves. How admirable her tender stance. And shook the hills with trumpeting. With lights behind the iris like a cephalopod’s. Rubbed from the world’s hard rubbing in the excess of every day? The summer I was twenty-four in San Francisco. You and I. The whole summer seemed like a cable-car ride over the gold bay. In the excess of passion, in the need to be worn away. Do they know it is cleanness of skin, firmness of flesh that matters? It is so difficult to look at the deprived, or smell their decay. But now I am among them. I, too, am a leper, a warning. Saying, lordy me. It’s my trouble. There’s nothing to be learned this way. But you hardly ever hear those words. Something when you are in need. And don’t wait until you are dead. For their mother to grow old. To take them away from me. And lordy, give us our share. The dancers who cannot sleep, and the sleepers who cannot dance. I ran, a living blunder. I hid among the flies. Myself became the fruit and vendor. He rides her cruel and he rides her easy. Come along spring, come along sun, come along field daisy. And cry, “Why,” cry the spring peepers, “Why,” each little frog. All poems from Ruth Stone's What Love Comes To: New & Selected Poems (Copper Canyon Press, USA, 2008; Bloodaxe Books, UK, 2009). 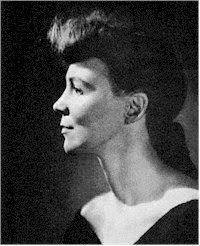 Independent filmmaker Nora Jacobson has been working on a film about Ruth Stone over the past few years, assisted by Chard DeNiord. Her film production company Off the Grid Productions is based in Norwich, Vermont. An extract from Elizabeth Gilbert's TED talk A different way to think about genius in which she describes meeting the poet Ruth Stone who described the way poems "came" to her. The full talk is on TED (here) and on YouTube (here). Elizabeth Gilbert muses on the impossible things we expect from artists and geniuses – and shares the radical idea that, instead of the rare person "being" a genius, all of us "have" a genius. It's a funny, personal and surprisingly moving talk. Thanks a lot for posting this - it's so informative. The Elizabeth Gilbert video sums it up well - watched that long time ago. Thank you, Neil, for posting this potpourri of poems, reviews, film clips, obituaries (The Guardian's obit just appeared) and tributes to Ruth. A great service to the poetry and larger world. Ruth lived uniquely in both. This is a remarkable compilation in tribute to Ruth Stone, a uniquely American poet, truly one of our country's greatest poets,yet BloodAxe brought her back full-circle to a universal audience. In gratitude to BloodAxe Books for honoring Ruth, publishing What Love Comes To, and continuing her written word . . . it was such a great gift to know her. Kandace Brill Lombart. This is a wonderful quilt-work of Ruth's work and life. I read through it, listening to her voice and remind myself that each snippet is the tip of many lives lived and many other poems written. I am delighted BloodAxe books drew in so many more readers to appreciate Ruth's endless creativity. This is a wonderful collection of tributes, and footage of my mother at the end of her life. Lovingly put together and portrayed.